We all know January is the perfect time for a fresh start. You may have already jotted down a few 2018 goals or made resolutions to get healthier and kick bad habits. Good for you! In the spirit of fresh starts, let’s begin this year the way we ended last year—by giving! Take a look at your budget and your giving habits in order to think about ways to amp up the generosity in 2018. If the answer is yes, take a moment to think about your current giving. Consider the organizations you contribute to and the amount of your donations. Would you like to give more, give less, or give to a different charitable organization? Make a decision based on your budget. I don’t give because I don’t have enough money: Start by donating your time. Then, slowly but sure, aim to give about 10% of your income away. You might need to first work to pay off debt, freeing up some of your income so that you can reach all of your money goals, including the hope of helping others. I don’t give because I don’t know where to give: Look around you. Do you attend church? Could you ask around to find out what needs are present in your local community? What are you passionate about? With a little research you’re sure to find a way to make a difference. I don’t give because it doesn’t cross my mind: Build giving into your budget. In fact, we suggest putting giving at the top of your budget, followed by saving, and then spending. Here at EveryDollar, we already put the budget in this order so you’ll never forget! 2. What do I want to teach my children about giving? This one gets us every time. Because when we frame our actions by what our kids see, we end up seeing ourselves more clearly. Plus, kids are impressionable. They pick up on the bad, but they also remember the good. Take some time to think about the example you’re setting for the next generation. Are you encouraging generosity or greed? And remember most kids from toddler to teen love to give, so look for ways to get the whole family involved. You can talk about how you include giving in your monthly budget—and why. Volunteering and donating your family time is also a great way to give. Spend time brainstorming where you’d like to volunteer. 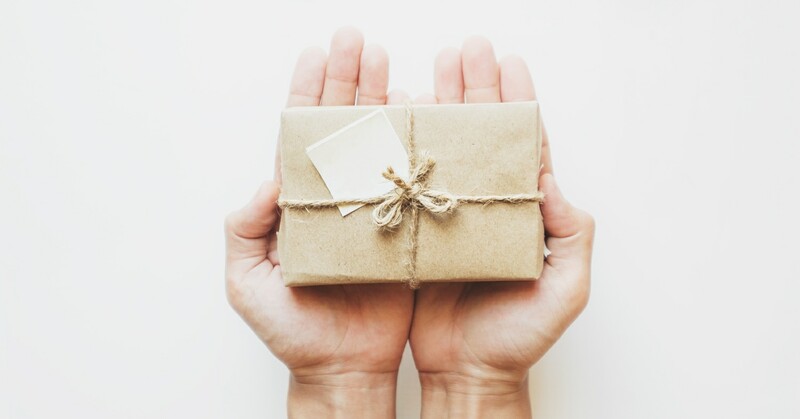 Studies regularly show the benefits of being generous, including less stress, greater joy and a longer life.¹ Adding a giving category to your budget takes just minutes. Go ahead. Help others and yourself and receive year-round warm and fuzzies.